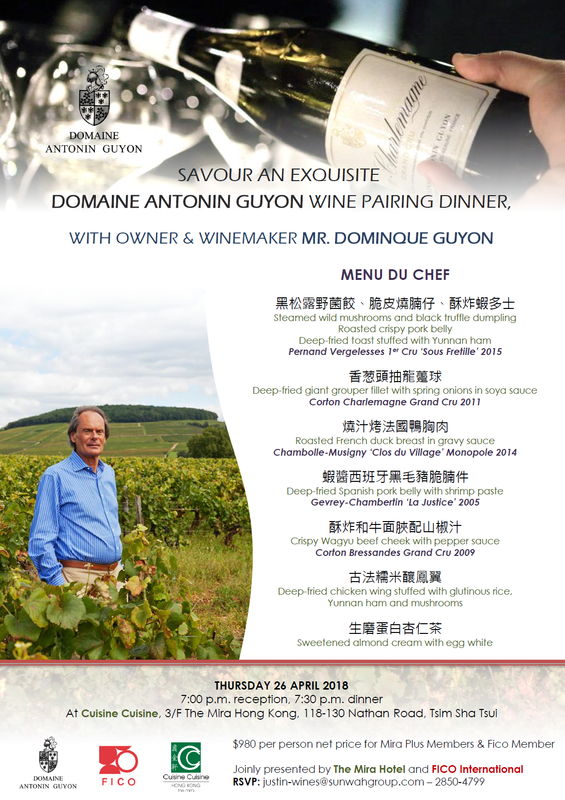 It is our great pleasure to announce our next wine dinner with Mr. Dominique Guyon, owner and winemaker of Domaine Antonin Guyon. This Domaine is one of most prestigious estates in Cote d’Or, Burgundy, as well as one of the largest family-owned wineries in the region. Savour an exquisite Domaine Antonin Guyon wine dinner pairing experience at Cuisine Cuisine ’s Chinese restaurant at The Mira Hotel. Explore Burgundy’s beautiful Terroir and Climats, tasting 6 different appellations from the most renowned villages of the region, including the outstanding Grand Crus ‘Corton Charlemagne’ and ‘Corton Bressandes’. 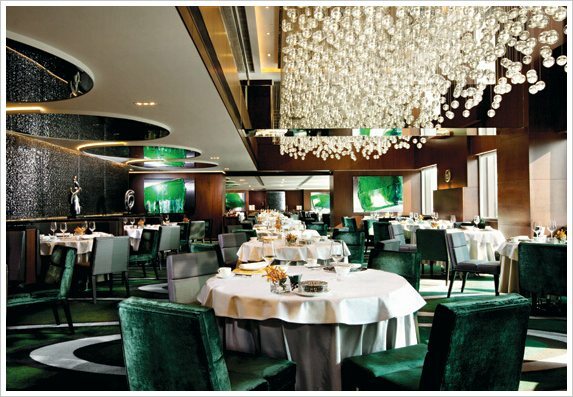 Where ‘Cuisine Cuisine’ – 3/F, The Mira Hotel, 118-130 Nathan Road, Tsim Sha Tsui, Hong Kong. Guest Mr. Dominique Guyon, owner and winemaker of Domaine Antonin Guyon, second generation. Price $980 per person. FICO guests will be exempt from service charge. Kindly RSVP answering to this email asap, seats are very limited. seats are very limited.